Based on Key Indicators 2014, a flagship publication of the Asian Development Bank, this presentation argued that conventional wisdom on poverty measurement fails to consider significant challenges of food insecurity, increasing inequality and rising vulnerability. Once these additional elements are brought in, the hope for an Asia free of poverty by 2020 looks unlikely. Instead, it is more likely poverty will remain prevalent in Asia beyond even 2030. 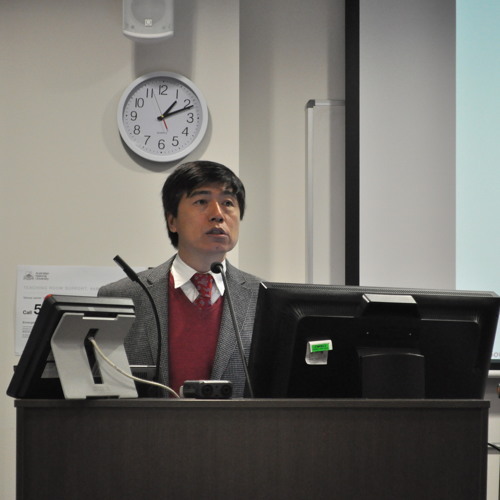 Dr Guanghua Wan is Principal Economist and Head, Poverty-Inequality Research Group, the Asian Development Bank. Previously, he was Senior Economist in the United Nations and taught in a number of Universities in Australia and China. Trained in development economics and econometrics, Dr Wan is an award-wining scholar on the Chinese economy and an expert on Asia, with an outstanding publication record of more than 100 professional articles and a dozen books including two by Oxford University Press. An honorary professor of over ten top institutions in China including Fudan and Zhejiang Universities, Dr Wan is among the top eight per cent economists globally and top four per cent, in Asia according to the latest ranking of REPEC. This public seminar was presented by the Development Policy Centre at Crawford School of Public Policy, The Australian National University.